Days after the UK was hit by a terrorist attack at Parson's Green, a London Underground station, the country is preparing to propose a new security agreement to the EU in order to improve the level of collaboration on security matters after Brexit. LONDON (Sputnik) – After Brexit, the United Kingdom will propose to the European Union a new security agreement that will focus on the fight against terrorism, a high-ranking source in the UK government told Sputnik. According to the source, the official proposal would be made on Monday with the agreement seeking to lay the foundation for the continuation of cooperation in the spheres of security, criminal procedure and law enforcement after Brexit. The new security agreement must be based on the principles shared by both London and Brussels including high standards of data protection and protection of human rights, the source said. The deal must also include the mechanism of settlement of disputes, the source added. Although the UK's historic vote to withdraw from the EU occurred more than a year ago the country is set to leave the Union only by March 2019. The formal proceedings for leaving the EU started after UK's ambassador to EU Tim Barrow delivered a letter to President of the European Council Donald Tusk which triggered the Article 50 of the Lisbon treaty. This article sets the rules for the EU states willing to end their membership in the Union. Since June 2017 Britain and the European Union have been negotiating new arrangements for the UK outside the EU. Key issues of the talks are rights of the EU and UK citizens after Brexit, the so-called "divorce bill" and the Northern Ireland border. Negotiators have to define as well post-Brexit trade relations between the UK and the European Union and terms of cooperation in all spheres. There is also a possibility that Britain would withdraw from the EU without comprehensive Brexit agreement. 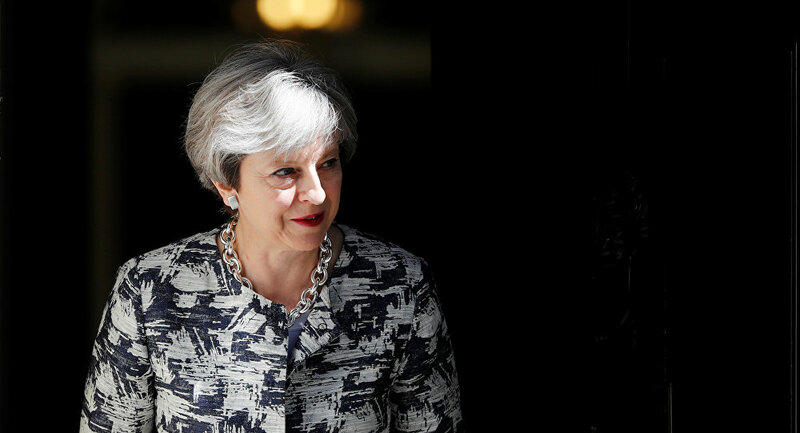 UK Prime Minister Theresa May have repeatedly claimed that no deal is better than a bad deal for the UK. In the sphere of trade it would mean that the UK will just have to trade according to WTO rules, whereas in terms of security the failure to sign a divorce agreement will lead to an inevitable weakening of cooperation on crime and law enforcement. Amid the wave of deadly terrorist acts, which swept Europe, security collaboration plays a crucial role and a new post-Brexit security agreement is aimed at establishing a deep partnership in combating terrorism. What's Behind UK's Pledge to 'Deeper' Defense Ties With Europe Post Brexit?